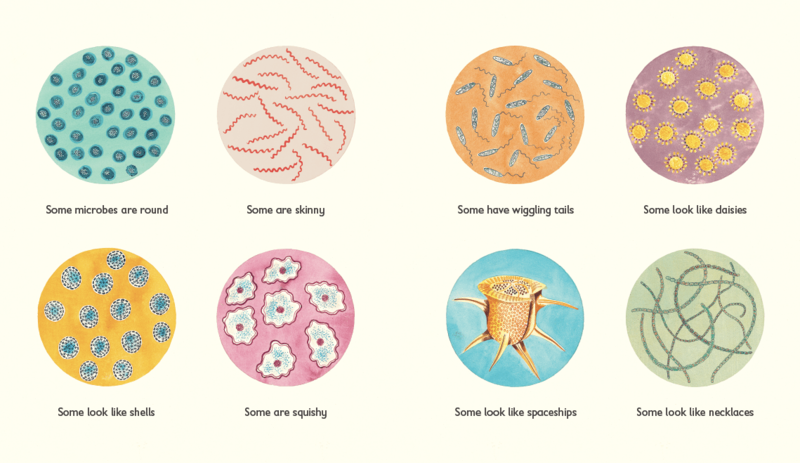 This book about-yes, microbes- was so beautiful and charming! I didn't think that noun and those adjectives would ever be placed side by side, but Nicola Davies book, Tiny Creatures, is just as fun to look at as informational to read. This non-fiction storybook is playful and colorful, and quite factual with a little bit of witticism thrown in. That's a darn fine combination for a topic that is of the science-y nature (and I have to admit, not my favorite topic to read about). My kids loved this book, and wanted me to read it multiple times. I do not have the best memory for elementary science, but I am a big enthusiast of well-illustrated and concise children's books on the topic, and this book is just that. The pictures are quite pleasant and are deifnitely cut from a Victorian-yet-folksy stone, which brings out bright yet somewhat muted or matte colors, without drawing away from the well done writing. 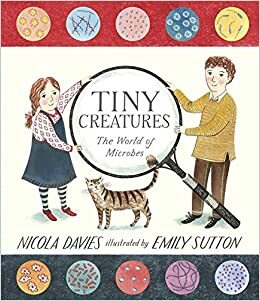 Of course the best part about sharing this book with the kids was the learning, of which this picture and words share some of what amazed them--that microbes are on our food, in our stomachs, and in our water all the time. A beautiful book for the science-loving child in your life, and enjoyable for adults, as well. Now, I need to look up what other books this author and also the illustrator, Emily Sutton, have done and put them on hold lickety-split! Everyone who has read even one month's worth of posts (that's, ahem, four) knows that it's no secret that I'm a huge Kate DiCamillo fan. 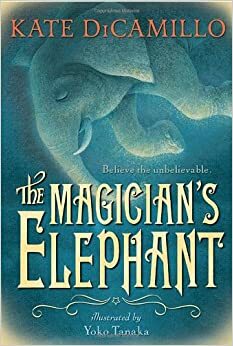 Her youth fiction is outstanding and although I wouldn't put The Magician's Elephant at the top (that's reserved for Because of Winn-Dixie and The Tale of Despereaux), it's another great story with a raggle-taggle bunch of characters you grow to know and love. The main character, Peter, is a young orphan who decides to spend the day's food allowance on a fortune-teller's fee rather than the normal old bread and small fish, and hears an earful before he leaves the tent. The fortune-teller tells Peter that an elephant will take him to his long-lost sister (who has always been dead, according to his caretaker, Vilna Lutz). This bizarre prophecy seems to appear likely when an elephant comes crashing through a rooftop that very night, unbeknownst to Peter. The sorrowful and gray tale is a story about community, family, and the threads of hope that are braided together in unlikely ways. DiCamillo's writing is fantastic as usual, and her characters come alive with the descriptions and back-story she gives them. I would suggest this book be read to or read by those above the age of 8, for a few reasons. One, a part of the story deals with war, deep grief and trauma, and many deaths. It's one of her heavier books, though there is a redemptive theme. I also believe it to be just a bit harder for younger ones to follow based on the metaphors and descriptions of people and their personalities. My daughter had a harder time following the actual plot of the book, while my son was delighted by the details. I think my 6 year old got the jist, but she missed out on a lot simply trying to keep up with the story developments. I loved this picture book that we found at the library, Summer Birds: The Butterflies of Maria Merian by Margarita Engle. It is a true story, a picturebook biography about a woman who lived centuries ago and was one of the first true naturalists. She discovered that caterpillars turn into butterflies, as it was common belief at the time that butterflies and caterpillars were two separate types of insects. The pictures are stunning, and have that a botany-for-kids feel (like if these posters were made for kids), and perfectly align with the narrative. I had never heard of Maria Merien before but when looking her up on Wikipedia, I found that she illustrated her first botany book at age 28; quite impressive for the 17th century and being female. This is a wonderful companion book for science and nature lovers, studies in female scientists and game-changers, and just an all-around beautiful picture book. I see a butterfly project in your future! I am an active follower of the Read-Aloud Revival, a podcast (and facebook group) about reading aloud excellent books to children even once they're old enough to read on their own. I've read the science behind why reading a loud to kids makes such a difference, and I buy into it. The great thing about the facebook page is simply why we're all there--the excellent book recommendations. 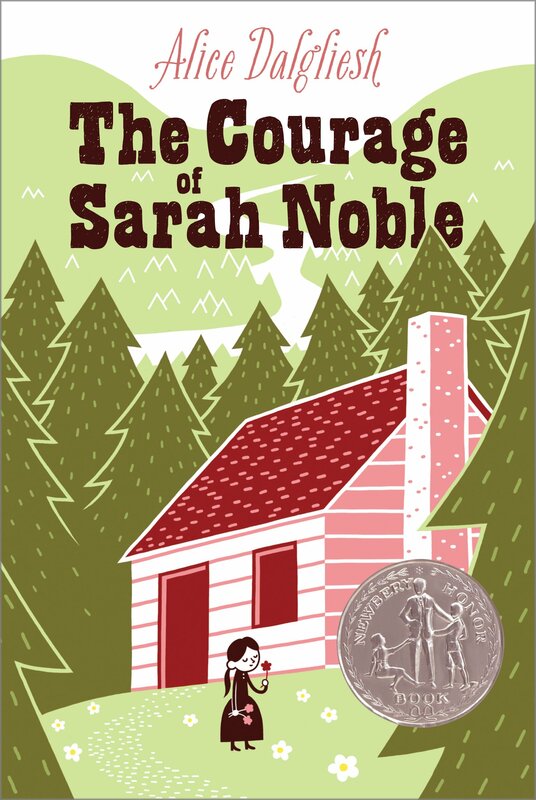 I saw a lot of people mentioning The Courage of Sarah Noble by Alice Dalgliesh on the forum, and I thought if so many people recommended it, it must be good! I really enjoyed the illustrations, and the simple story (50+ pages), and it gave us a lot to talk about including relationships between native peoples and the settlers. I found out it was based on a true story and I love true stories, especially when they are written well. This book would be excellent for a mid-elementary school resource or homeschooling and learning about pioneer times. The story involves a young girl, Sarah, age 8, who goes on a long trip to help her father (to cook for him, actually) for months while he builds their family's new house in a different location. They have to sleep in a cave, watch out for wolves, develop relationships with people who speak a different language, and get the work done before winter. It's short and sweet and it would be a great precursor to the Little House books because of it's size. Do your kids like historical fiction, or would they rather read sci-fi, fantasy, or a novel? Have you ever read the Tacky books? You know, that penguin who marches, 1-2-3-4-2-3-6-0-2 1/2-0? Tacky the Penguin was one of my favorite characters growing up as a child, and I knew the author, Helen Lester, often produced books that were illustrated by Lynn Munsinger. Lester's words and Minsinger's pictures blend so well together, that I have rarely seen one without the other (and it is a bit jarring when you see one without the other! ), and I like it that way. 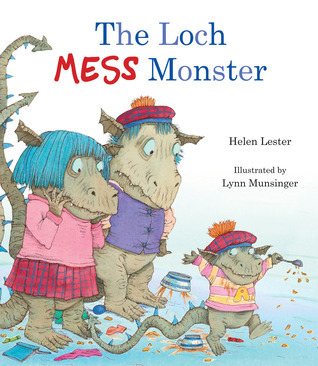 Lester's newer book, The Loch Mess Monster, is about a little loch monster who is incredibly messy. His parents have rules about going above the water in the Loch Ness, which parents will find amusing knowing the story behind the original Scottish myth, and children will delight in the hilarious story about the sticky, jammy, messy monster. I own several of Lester's hilarious books, and for good reason. She has a way with words that create truth and humor about children without sounding the least bit patronizing. Listen, Buddy! is another family favorite that I have read at least 50 times, probably more. Catch up with this wonderful book and have your children heartily cracking up before bedtime, especially if you have a little messy monster yourself! This week and next I'll be away and because I have nothing but busy days, lots of 'have tos' before my upcoming trip to a friend's wedding, and quite a few obligations between here and then, I'm signing off for a week or two. Enjoy the last bits of Summer, friends, and read good books! This book is new to me, authored by Lois Ehlert, and it is beautiful! I know you know Lois Ehlert's work, because it's everywhere. Leaf Man, Chicka Chicka Boom Bom, and Eating the Alphabet are some of her most well-known books, followed closely by many others (and they're all excellent!) but this book, Scraps, is very different from the rest of her work in that it isn't a picture-book story, but a picture-book autobiography of Ehlert from the time she was a little girl and using all sorts of bits and bobs to create art, to present day as a children's author. This book is filled with Ehlert's recognizable collage art, and the 'notions' spill across each page followed by words and sentences all over the place. Since this book is still written for children, the autobiographical part is finely tuned to snippets, much like her pieces of cut paper. I thought this book was just lovely, and so interesting, since I didn't know much about one of my children's favorite author/illustrators. 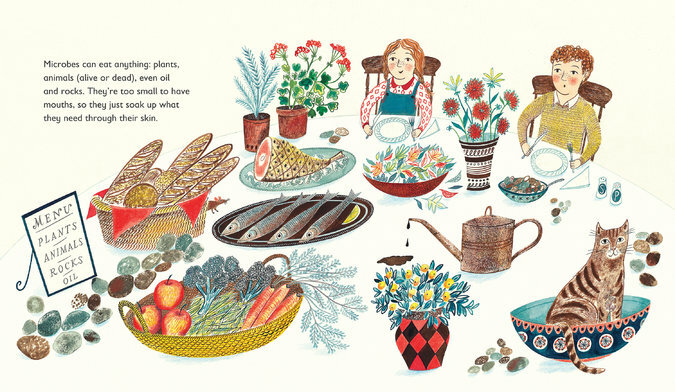 I find her collage illustrations to be very inspirational, and I might even buy this book for my kids to use to get their imaginations rolling. It's no secret collage illustration might be my favorite, so I am potentially biased, but I found my kids to be just as interested. Often while reading it aloud, Ani would touch the pieces on the page (from photography, natural and found items, cut or torn paper, etc.) to see if they had an actual texture. Scraps is a great book to introduce to young children who want to know a bit more of the artist behind some of their favorite childhood books!